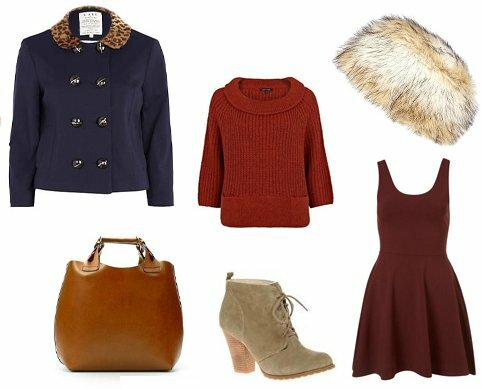 coat: River Island, bag: Zara, jumper: River Island, cossack hat: River Island, maroon dress: Topshop, suede boots: ASOS. I definitely do not need any more new clothes but I can’t help lusting over these pieces. Perfect for my little trip to Copenhagen. I have to admit I do already own two of these (as you can probably remember I got the zara bag a little while back, you can see my post on it here. Then I treated myself to the maroon dress from Topshop yesterday, it was only £20 though so it would be rude not to!) Had a lovely catch up yesterday afternoon with A; it was pretty cold in Newcastle giving me the perfect excuse to throw on my new sheepskin coat. I love the Topshop skater dress – I have it in black! Love the colour of that jacket too! i know what you mean. especially in today's economy, i don't want to buy more "things". but for £20, that's a bargain ! 🙂 just kidding. as long as purchases make you feel good and not regretful, they're worth it ! Thank you so much for commenting on my blog! Love all the items, the dress is amazing! oh, that river islands coat is so sweet! oh i lust after these too. Ooh I love it all, & £20 really is a bargain for the dress! I like the dress from the collage!